So remember that time your seminary teacher carried on about the sticks and the scrolls and Ephraim and Judah? And remember when you and your teenaged friends started calling your scriptures your "sticks"? 1. Torah Scrolls . Yes, they are rolled around a couple of sticks, or staves (etz hayim -- trees of life), just like your seminary teacher said. 2. The Yad. Nobody touches the scroll. Instead, whomever reads the Torah to the congregation follows the text using a pointer stick, a yad (hand). Pop Quiz: Where else have you seen someone using a pointer stick while explaining things to the assembled congregation? 3. The Canon. 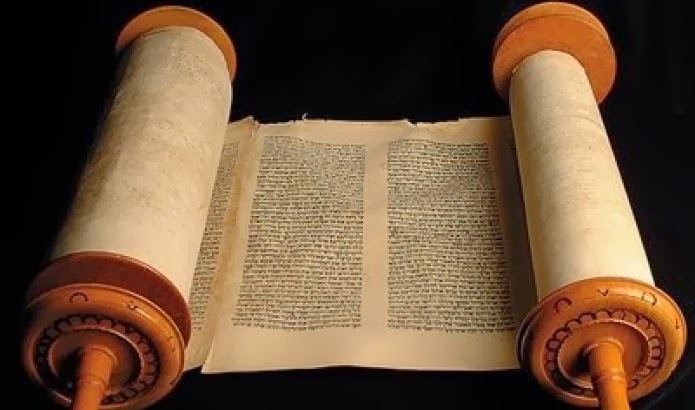 The word canon (as in, a canon, or collection, of scripture) comes from the Latin cann, rule, and from the Greek kann, measuring rod, rule, stick. Try substituting the word "canon" for "stick" in the verses above, and see whether it makes more intuitive sense. So there you have it: Not one, but three, sticks with which to argue that the Book of Mormon was prophesied by Old Testament prophets.